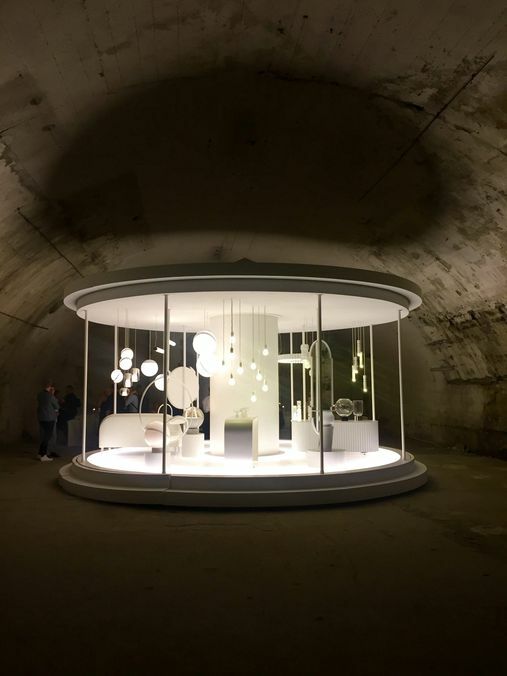 The British designer Lee Broom celebrated the ten-year anniversary of his company with an ingenious installation in an abandoned area below the Milan railway station. Lee created a carousel filled with pieces from his collections over the years, each one in a different white patina. It was an eerie and spectacular sight, entering this dark cave to what seemed an apparition out of Cocteau’s Beauty and the Beast.